Tank top season is officially here! Ditch the sweaters, cardigans, and all things longsleeved-- we have just what you need. 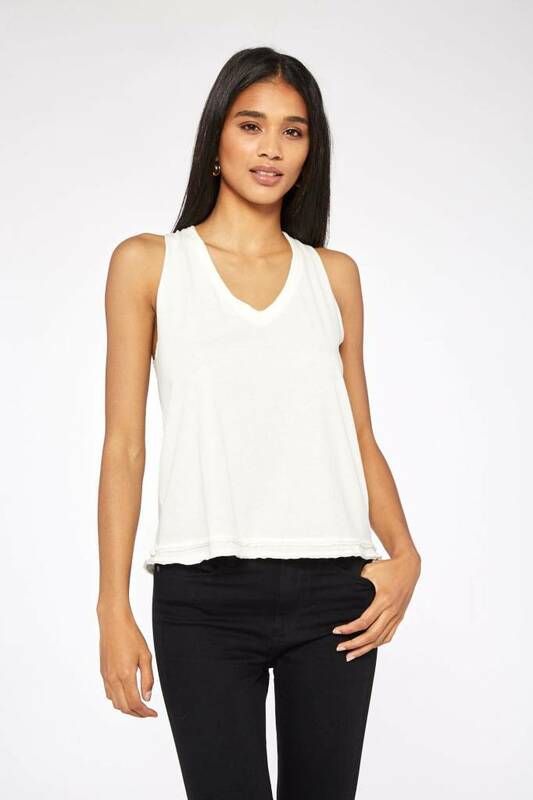 With its easy relaxed fit and raw edging details, this v-neck tank is your quintessential summer piece.